Sure, you already know that eating properly is good for your heart. But did you know that heart health and nutrition are the MOST important link in cardiovascular disease prevention? And I'm talking true prevention here, where you stop the underlying problem- not just decreasing the risk of heart attacks and strokes like pharmaceuticals do. Good heart health and nutrition are important for prevention of all heart disease. Whether you're talking about cardiovascular disease prevention, coronary heart disease prevention or stroke prevention - it's all heart disease because it's all the same underlying problem. What they call it just depends where in your body the problem happens. Sadly, only 100 years ago, heart disease was so rare it was just "discovered". Today, it is the #1 killer- responsible for over 40% of ALL deaths. So for every death that happens, no matter what the cause, almost half of them are caused by heart disease! And the average age of onset is getting younger all the time. Did you know that cardiovascular disease starts in childhood? It's true. The blood vessel changes are already present in 30% of 16-20 year olds, 50% of 21-25 year olds, and 75% of 26-39 year olds. 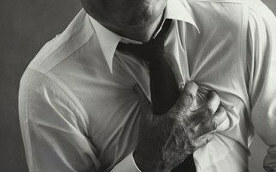 Think about that: by the time we turn 40, three quarters of us have signs of cardiovascular disease! That's why more than 45% of heart attacks are in people under 65. Unfortunately, most people have no idea- the first symptom is a massive heart attack (of which 30% will not survive). Scary and sobering statistics, I know. I give them to emphasize the importance of early prevention. You can't wait until you have symptoms- it could be too late. To understand how heart health and nutrition are so closely linked, you need to know the underlying cause of heart disease. Contrary to what you've been led to believe, heart disease is caused by inflammation of your arteries, not cholesterol. Really! That's why over half the people who have heart attacks have normal cholesterol. So having too much cholesterol isn't really the problem. It's having too much inflammation that requires cholesterol bandaids. 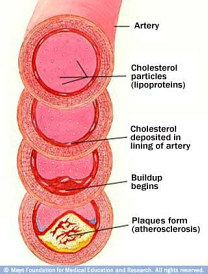 Read my other page on cholesterol for more information. There are a couple of blood tests that you can ask your doctor to order that give a much better indication of the amount of inflammation going on in your blood vessels. The first one is C-Reactive Protein (CRP). This is actually a measure of the inflammation in your arteries- exactly what you're looking for. The second is homocysteine levels. By itself, high homocysteine levels are responsible for 15% of the heart attacks that happen in the world. Even mildly elevated levels are associated with an increased risk. When it comes to heart health and nutrition there are certain antioxidants and vitamins that are better than others. The key is to provide your body with the proper combination because they work better together than any of them alone. That is the reason for disappointing results in earlier studies, where they tested only 1 nutrient at a time. Usually that's good scientific procedure, but in the case of your complex body systems, it just doesn't work. So what are the nutrients that are important for heart health and nutrition? That's beyond the scope of this website, but I know that's what you need to know. Simply fill out this form and the information will be immediately delivered to you via e-mail.